In consideration for being permitted to volunteer my services to the Texas State Senior Games, I hereby agree to accept any and all risks of injury or damage. 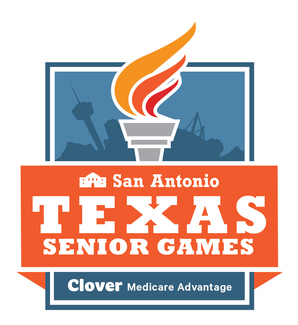 I agree that neither the Texas State Senior Games, the National Games Association, The Texas Senior Games Association, the Barshop Jewish Community Center of San Antonio, and our sponsors, nor any of their local affiliate entities or individuals, directors, officers, employees, agents, volunteers or any other representatives (*the released individuals and entities) shall incur any financial responsibility or liability whatsoever for any injury or damage resulting from the negligence or other acts, however caused, including, without limitation, the sole or contributory negligent acts of the released individuals and entities. Accordingly, I hereby release each of the forgoing individuals and entities from all actions, claims or demands that my heirs and assigns or I may have for such injuries or damages caused by the sole contributory negligent acts of the released individuals and entities that may arise as a result of the breach by me or my heirs or assigns of the foregoing release. I HAVE CAREFULLY READ THIS AGREEMENT AND FULLY UNDERSTAND ITS CONTENT. I AM AWARE THIS IS A RELEASE OF LIABILITY AND SIGN IT OF MY FREE WILL, AND GIVE PERMISSION AS PARENT/GUARDIAN IF VOLUNTEER IS UNDER THE AGE OF 18. I UNDERSTAND VOLUNTEERS MUST BE AT LEAST 13 YEARS OF AGE OR OLDER. You may expect to hear from us in March regarding your involvement. If you have indicated that you will be available before the games, you may hear from us sooner. For information or query, please call Tracy at (210) 302-6909 or Cathy at (210) 302-6870. We will try to accommodate your preferences as indicated on this form whenever possible. I am available for additional times as needed. I also signed up for Archery, shuffleboard, but these did not show up.